Usui Reiki Level 1 is a class designed for those who wish to become Certified Reiki 1 Practitioners. The class can be taught as a one-day training at the end of which you will obtain your certificate or in two half days, please see below for details. This class can be useful for people who wish to use Reiki for self-care and to help family and friends; it also includes all the training required to start doing Reiki professionally with clients. This level of training can also be a great asset for massage therapists who wish to combine reiki with their massage services, and for yoga teachers who wish to enhance their students' savasana, and their restorative and yin yoga classes. Part 1: Reiki Self-Healing for Empowered Living, $95 + hst. Pre-registration required, usually a 4 hour class. Learn the art of doing reiki on yourself; includes additional self-healing routines for various wellness purposes, including specific hand positions, affirmations, and other tools from the mindfulness/yogic traditions. Part 2: Reiki Healing: Share your Light, $115 + hst. Pre-registration required, usually a 4 hour class. Learn to do byosen scanning and a standard treatment on others; learn to practice intuitive reiki by attending one Reiki Share event at no extra charge. The class will also cover elements from the class outline below that were not covered in Part 1. 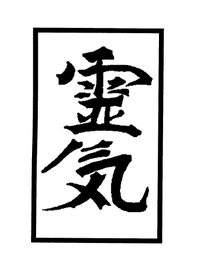 When both taken, Parts 1 and 2 lead to full certification as a Usui Reiki Level 1 Practitioner. Price for Parts 1 and 2 purchased together, $175 + hst. For full certification, classes are usually taught one on one over two half days of 4 hours each to allow greater integration of the energy and the teachings. Occasionally, the class is taught over one full day, schedule permitting. Price: $175 + hst. Pre-registration required. Recommendation: Following this class, it is highly recommended that students attend a monthly reiki share to gain further practice with reiki. Please contact Suniti Daniele Hart for more information.